Despite the calendar showing that it's still August, the Dallas Arboretum is getting us ready for the holiday season by revealing plans for a new exhibit called the 12 Days of Christmas. 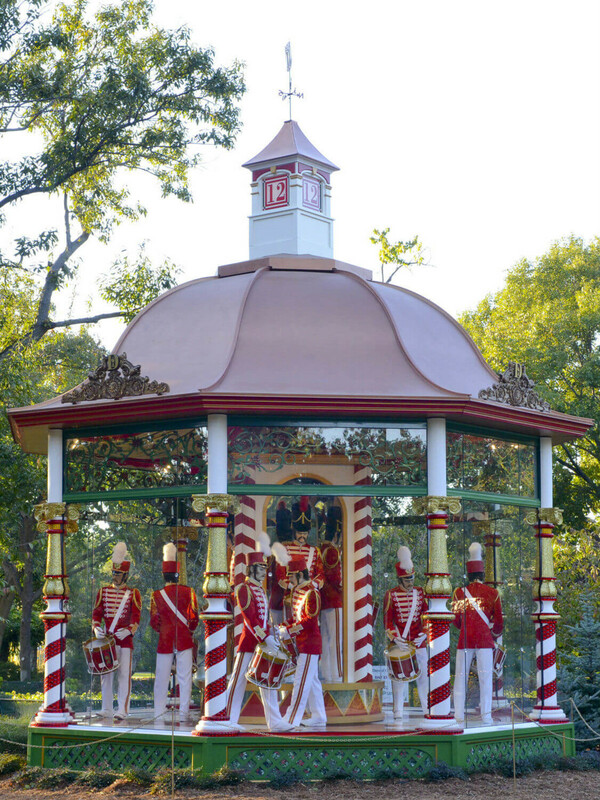 Starting November 16, a dozen 15-foot-tall gazebos will pop up around the arboretum grounds, and each will be populated by life-size Victorian-costumed mannequins or whimsical animals to match the verses of the popular holiday song, "The 12 Days of Christmas." The Dallas Arboretum is pulling out all the stops for this $1.6 million exhibition, with sets and costumes designed by Tommy Bourgeois, the Dallas Opera and Dallas Stage Scenery. Some of the exhibits will have animated figures to act out the song's lyrics, and each gazebo will be protected by glass, so it will resemble a music box. Lighting upgrades to the garden that came with the Chihuly exhibit a couple of years ago will help showcase each gazebo. The exhibit, free with regular admission, will be open every day from November 16 to January 4, 2015, save for Thanksgiving, Christmas Day and New Year's Day. As with the Chihuly exhibit, the arboretum also will be open on select nights throughout the run, giving visitors a chance to see a different kind of holiday lights display. Tickets for the 12 Days of Christmas go on sale starting August 15; anyone who buys tickets prior to September 1 gets an early bird discount. Daytime admission costs $15 for adults and $10 for children, plus $10 for parking. Night tickets cost $20, and parking is included. Arboretum members and children under the age of 2 get in free.